This book is concerned with action research as a form of teacher professional development. In it, John Elliot traces the historical emergence and current significance of action research in schools. He examines action research as a cultural innovation with transformative possibilities for both the professional culture of teachers and teacher educators in academia and explores how action research can be a form of creative resistance to the technical rationality underpinning government policy. He explains the role of action research in the specific contexts of the national curriculum, teacher appraisal and competence-based teacher training. 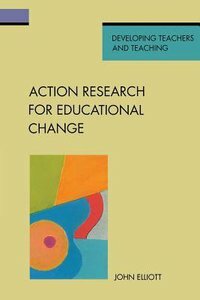 About "Action Research For Educational Change"